Coconut oil is fantastic stuff. Just as long as it's produced well. Always research the brands that you use to make sure that you're getting the highest quality available. No weird chemicals of any sort should be used during the process of extracting the oil. There is so much scandal involved with food that you got to do your research these days. I once read a crazy story about a cheese manufacturer who grated used umbrella handles into his Parmesan Cheese to fill it out. Yeh, anything to make a buck and now we're eating umbrella handles. Thanx guy. Anyway, I use coconut oil for many things. It's anti-fungal and antibacterial so it kills all the bad guys pretty well. There's a war going on between the many different types of bacteria in your body, so supply the good guys with the best supplies they can get. 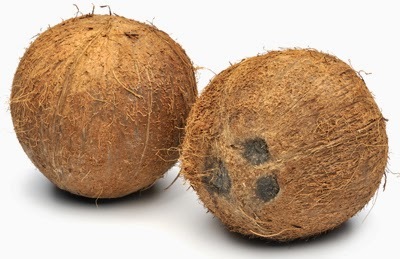 Eat 2 - 3 table spoons of coconut oil a day and you should be good to go. Some eat 3 times that amount with no ill effects. 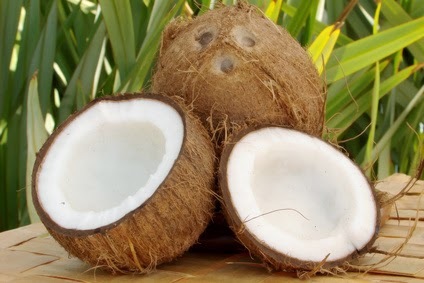 The fat in coconut oil is very healthy and it converts into energy very efficiently. You won't gain a ton of weight or break out in spots. You'll have more reserves of energy to draw from as you go about your busy day. Especially in these times, we need all the energy we can get. Another great use for coconut oil is for use externally. Many people suffer from minute bugs which crawl around on their skin called Demodex. We itch and we scratch but fail to realize that there is a tiny ecosystem on the surface of our skin. You don't look after it? The bad guys turn up and make life hell for you. Lather yourself all up in coconut oil from head to toe. This stuff seeps deep into the crevices surrounding the hair follicles where these guys hang out, and guess what? It makes life hell for THEM! Yes, we're winning the war now! Anyway, literally cover yourself in coconut oil and hour or two before you shower, and then wash it off. Otherwise you could just lather a very thin layer over yourself and go about your day. What I'm trying right now is using coconut oil to attack my sinus problems. Normally I ingest a large amount (maybe 5-10g) of powdered vitamin C in water throughout the day and my sinus problems become non existent. High dose Vitamin C is a beautiful thing. But now that I've run out temporarily, I decided to experiment with coconut oil. I lay on my bed, tilt my head back and drip coconut oil from a teaspoon into each nostril, sniffing every now and then. I lay back for half an hour, shaking my head to get the oil to fill the far reaching corners of my sinuses. The idea is that it will attack any sort of bad bacteria or fungus that resides in my sinuses. There could, however, be a far deeper, underlying cause to my sinus problems, but I will report back on how this turns out. Coconut oil has many, many different uses and it would be impossible to cover them all in one post. My advice is to research the heck out of anything you take. The more natural, the better. Use trusted brands. Your local health food shop will definitely have some in stock. There's a big shift and trend at the moment towards more natural foods and products and coconut oil is one of the star performers. Make it a daily habit to use more coconut oil, and get your health back in top shape!